‘Palestinians are an invented people, says Newt Gingrich’??? Newt Gingrich declares the Palestinians an ‘invented’ people. The US Republican presidential hopeful Newt Gingrich has declared that the Palestinians are an “invented” people who want to destroy Israel. The Jewish Channel, a cable TV station, posted online its interview with the former US House speaker, who has risen to the top of Republican nomination candidates to challenge Democratic President Barack Obama in the November 2012 election. Gingrich differed from official US policy that respects the Palestinians as a people deserving of their own state based on negotiations with Israel. “Remember, there was no Palestine as a state. It was part of the Ottoman Empire” until the early 20th century, Gingrich said. “I think that we’ve had an invented Palestinian people who are in fact Arabs and who were historically part of the Arab community. And they had a chance to go many places, and for a variety of political reasons we have sustained this war against Israel now since the 1940s, and it’s tragic,” he said. Most historians mark the start of Palestinian Arab nationalist sentiment as 1834, when Arab residents of the Palestinian region revolted against Ottoman rule. 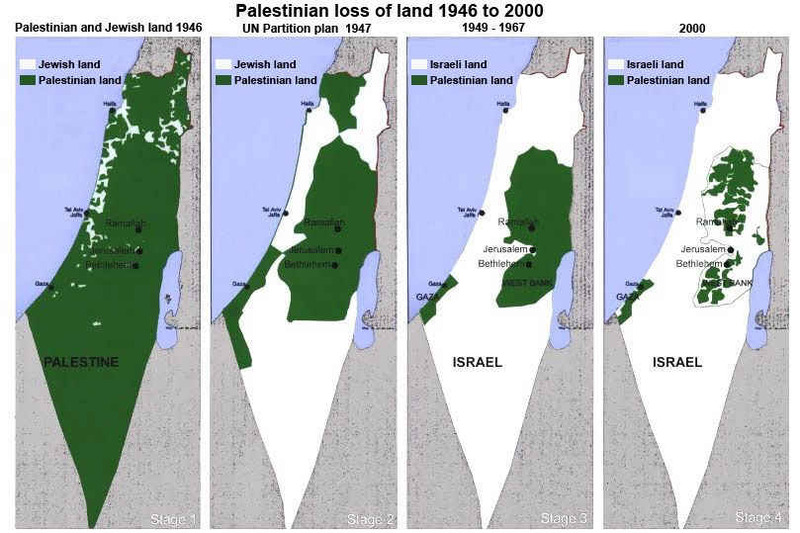 Modern-day Israel, founded amid the 1948 Arab-Israel war, took shape along the lines of a 1947 UN plan for ethnic partition of the then-British ruled territory of Palestine. Arabs rejected the division. Gingrich and other Republican candidates are seeking to attract Jewish support by vowing to bolster US ties with Israel if elected. Gingrich said the Hamas militant group, which controls the Gaza Strip, and the the governing Palestinian Authority, which controls the West Bank, represented “an enormous desire to destroy Israel”. The US government has sought to encourage the Palestinian Authority to negotiate with Israel but regards Hamas as a terrorist group. The Palestinian Authority president, Mahmoud Abbas, opposes violence against Israel as a means to secure an independent state, pinning his hopes first on negotiations and more recently on a unilateral bid for statehood via the United Nations. Gingrich said he would be willing to consider granting clemency to Jonathan Jay Pollard, who has been serving life since 1987 for passing US secrets to Israel. Successive US presidents have refused Israel’s requests to free him. “If we can get to a point where I’m satisfied that there’s no national security threat, and if he’s in fact served within the range of people who’ve had a similar problem, then I’d be inclined to consider clemency,” Gingrich said. Gingrich sharply criticised the Obama administration’s approach to Middle East diplomacy, saying it was “so out of touch with reality that it would be like taking your child to the zoo and explaining that a lion was a bunny rabbit”. So this is what Bibi calls self-defense to ensure Israel’s security and survival??? Breaking the Silence is an organization of veteran combatants who have served in the Israeli military since the start of the Second Intifada and have taken it upon themselves to expose the Israeli public to the reality of everyday life in the Occupied Territories.